Colton was by now being eclipsed by its neighbour Rugeley. Throughout these two centuries it became a small rural village with most of its inhabitants still working on the land and looking after village affairs. 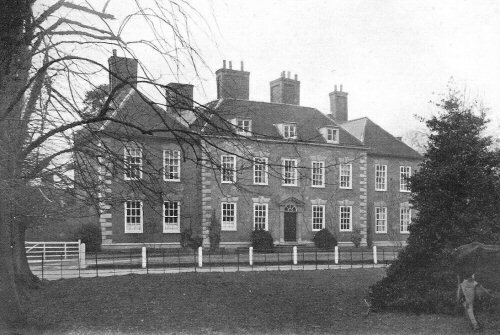 Colton became home to Sir Walter Aston of Tixall in 1610 when he purchased the Manor of Colton and the hall. He became Ambassador to Spain for James I and was made Baron Forfar for his services to the crown. This hall burnt down in the late 1640’s and this coupled with the fact that his royal position used up most of his money meant that his estate upon his death was much reduced. His second son Herbert inherited the Colton estate and built a new hall at Bellamour. There was high drama at the end of the 17th. Century when Herbert was arrested because he was implicated in the Popish plot, a plot allegedly to kill the King. He returned to Colton upon his release. The late 17th. Century saw the marriage of a Colton heiress, Constance Boughey of Boughey Hall Farm to Thomas Whitgreave of Old Moseley Hall. He had helped rescue Charles II in his failed attempt to reclaim the throne from Oliver Cromwell. The 18th. Century saw the coming of the canal through Colton. It brought a new sort of employment for some of the residents. Colton House was built in the village and still remains today as one of the outstanding houses. Colton residents also had to do substantial repairs to the church because it was falling into a bad state of repair. The whole of the west wall was rebuilt in brick.